The major selling points of IVECO’s closed box vans are great payload and strong engines. By the way, with regard to cargo capacity, the IVECO Daily van range boasts a class-beating rate, which is up to 19.6 cubic metres. The brand’s designers attribute this virtue to a well thought-out balance between the load length and the total length of the vehicle. 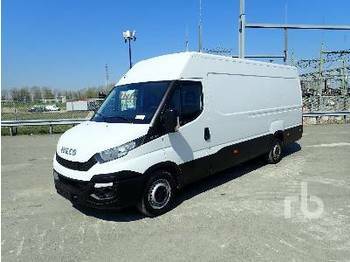 As for the virtues of Ivecovans.com, our website offers you hundreds of used IVECO vans for sale. The vehicles are carefully described according to the primary technical specifications. If you find something missing, there is an easy-to-use enquiry form for quick and trouble-free contact with the corresponding dealer. On top of that, our service is available anytime and anyplace. All need is the Internet connection!